Keeping the country’s transportation and heavy equipment in motion takes a lot of horsepower… and a crew of highly-skilled technicians and mechanics. Heavy vehicle and mobile equipment service technicians, inspect, maintain, and repair vehicles and machinery used in construction, farming, railways, and road transportation. 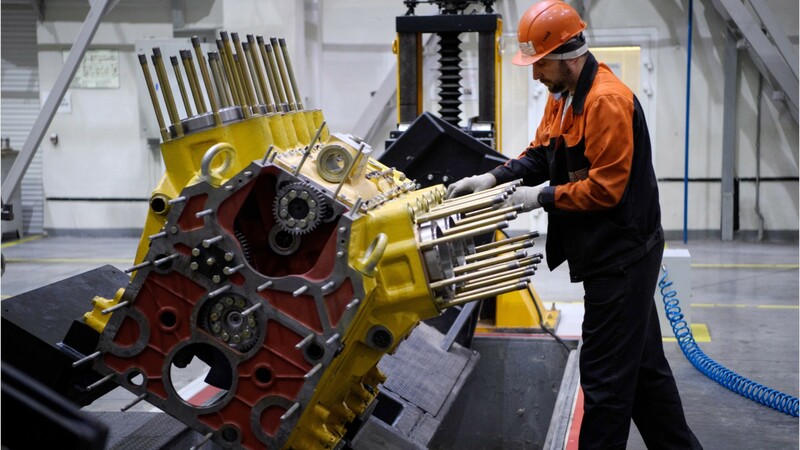 Diesel service technicians and mechanics service buses and trucks, or repair any type of diesel engine. Many work for trucking companies, wholesale trade firms, and government agencies. Farm equipment mechanics and service technicians repair farm equipment as well as smaller lawn and garden tractors. Most work for dealer repair shops, with seasonal variation in job duties. Mobile heavy equipment mechanics maintain construction and surface mining equipment, such as bulldozers, cranes, graders, and excavators. Most work for government, equipment rental shops, and large construction and mining companies. Rail car repairers keep railroad locomotives, subway cars, and other rolling stock in good repair. They usually work for railroad, public and private transit companies, and for manufacturers. These technicians often lift heavy parts and tools, handle greasy and dirty equipment, and work in awkward positions. While many work indoors in repair shops, some specialize in field service and travel to worksites that may be outdoors, in all types of weather. Service technicians generally work full time, sometimes including evenings or weekends. Overtime is common. Most service technicians have a high school education. Formal training and certificates are increasingly preferred by employers. Certificates usually take 1 to 2 years to earn. Once hired, trainees usually reach full qualification after 3 to 4 years. See more details at O*NET OnLine about mobile heavy equipment mechanics. Mobile Heavy Equipment Mechanics by U.S. Department of Labor, Employment and Training Administration is licensed under a Creative Commons Attribution 4.0 International License.